Is your at-home acne treatment not working? Here are five reasons why you should visit a dermatologist. Acne is one of the most common skin conditions in Canada. While it can affect anyone, at any age, it develops most commonly during the teenage years and in the early 20s. No two cases of acne are the same, which is why our professional dermatologists offer customized acne treatments based on your lifestyle, skin types, acne severity, and treatment history. From chemical peels for acne scars to innovative laser pulse therapy, our skin care specialists have the experience, knowledge and tools to develop individualized acne treatment plans to give you the healthy, beautiful skin you’ve always wanted. Since acne ranges from mild to severe and has a tendency to fluctuate, it’s difficult to know when exactly to enlist the help of a professional. However, ignoring the problem too long can have significant consequences and may even lead to skin damage and scarring. If you have had clear skin all your life and are suddenly experiencing moderate to severe breakouts, then it’s important to see a dermatologist as soon as possible. There could be a number of culprits behind an unexpected onset of acne. During a consultation, a skin specialist will ask the right questions to find the root cause of your problem and then suggest possible acne treatments that will clear your skin up quickly and safely. Are you experiencing a sudden acne breakout? Mild cases of acne can be successfully cleared with over-the-counter acne products, but many moderate-severe cases just don’t respond well to OTC treatments. In such a case, it’s best to see your skin care specialist about other treatment options. How long should I try OTC acne treatments before contacting a specialist? If you decide to try over-the-counter acne products, you should give the products about 10-12 weeks to work. If you have been treating your acne consistently and your breakouts aren’t getting better, or are worsening, you should contact a skin care specialist. They will be able to prescribe other acne treatment options that could give you better results and will have helpful advice regarding proper acne skin care and home treatment. If your acne is moderate-to-severe, or very inflamed, it is best to skip the over-the-counter treatments altogether. They just aren’t strong enough to improve acne at this level, and you’ll waste precious time and money on products that won’t work for you. Note: Nodules and cysts are very severe forms of breakouts and should always be evaluated by a dermatologist. These deep blemishes can easily cause scarring, so should be treated promptly. 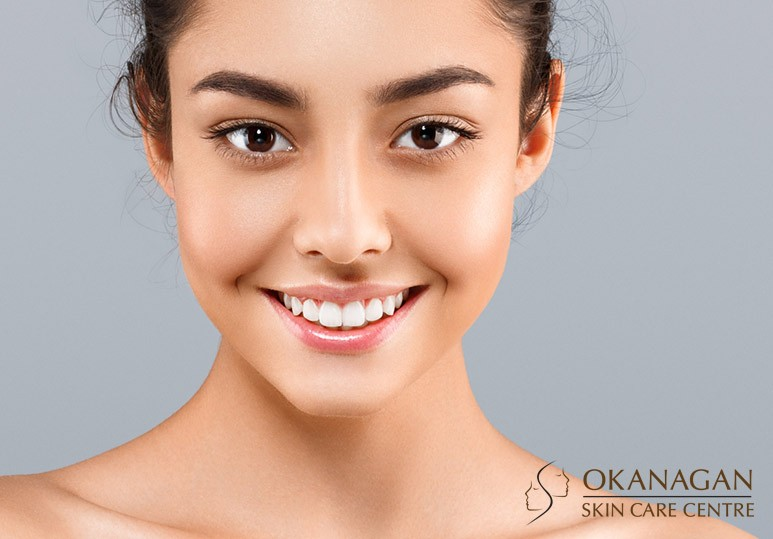 To find out more about the benefits of our customized acne treatments, and how our skin care specialists can help you achieve clear and healthy skin, contact our Kelowna clinic at 250-868-9290 or book a consultation today.